Professor Peter Dettmar, our company director, has enjoyed a week in China with our friends and colleagues from MAAB International, the Hong Kong-based investment and trading company. The visit involved a number of fascinating visits to major hospitals, trading partners, as well as a conference on gastro-oesophageal reflux disease (GORD/GERD). Peter was honoured to be a keynote speaker at the 2016 Beijing GERD Forum organised by the General Hospital of PLA Missile Forces, which was broadcast live to 300 military hospitals. This was a fantastic experience and the opportunity to speak to so many interested people in one setting was greatly appreciated. Other speakers included Dr David Watson, Head of the University Department of Surgery and Head of Gastrointestinal Services at Flinders Medical Centre in Australia, Prof. Li Jinrang, MD at the Department of Otorhinolaryngology–Head and Neck Surgery, Navy General Hospital and Prof. Wu Jimin, director of GERD Center of the General Hospital of PLA Missile Forces. 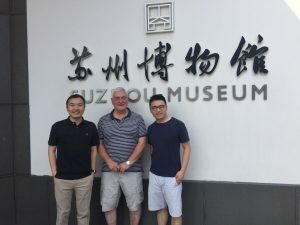 The trip also involved a visit to the Beijing Electronic Power Hospital, where Peter met up with the Head of the Gastroenterology Department and the Head of the Endoscopy Centre and a tour of the Peking University International Hospital. It was fascinating to see the scale and modernity of some of the new hospitals in China and to discuss the differences and similarities of care for patients suffering with reflux-related conditions between the East and the West. 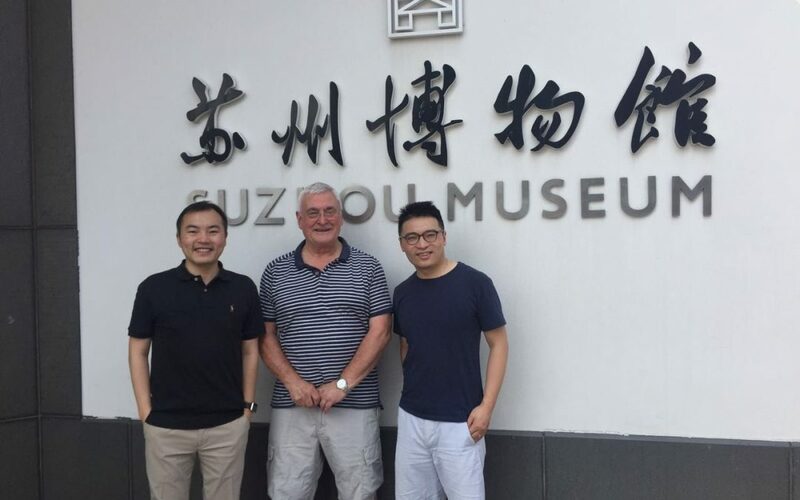 There was also the chance for a spot of leisure time, with a trip to the Suzhou Museum of ancient Chinese art, paintings of Ming and Qing Dynasties, calligraphy and handmade crafts. RD Biomed has a Chinese distribution agreement for Peptest with MAAB International for our non-invasive reflux diagnostic test Peptest. The final patients are being recruited now to complete the 10 centre study of Peptest in Chinese patients that is required for registration with the Chinese FDA. It is hoped that Peptest will be registered before the end of the year.